David Masterman has practiced for over 30 years in Northern Virginia. He is admitted to the bars of Virginia’s state and federal courts, and to the bar of the Supreme Court of the United States. Mr. Masterman has served as chair of the family law section of the Arlington County Bar Association, the Virginia Trial Lawyers Association and, more recently, the Virginia State Bar. He served on the Board of Governors for the Family Law Section for 6 years and later on the Board of Governors of the General Practice Section of the Virginia State Bar for 2 years. Mr. Masterman frequently lectures to other family law attorneys at both basic and advanced family law seminars, with topics ranging from the issues involved in divorce following short marriages, the effects of parental relocation on child custody arrangements, enforcement and setting aside of agreements, obtaining the best possible property division in divorce, and issues affecting custody of children, as well as the ethical rules applicable to attorneys in this practice field. He is also the author of a number of materials used as resources by other attorneys. Mr. Masterman received his undergraduate degree with honors from Grinnell College, where he was elected to Phi Beta Kappa, and graduated from the University of Virginia School of Law. Considered an outstanding litigation tactician and courtroom attorney, Mr. Masterman nevertheless emphasizes the importance of exploring settlement when possible. 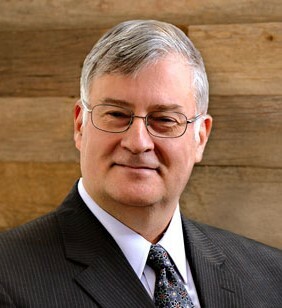 He is considered “mediation-friendly” and is pleased to assist clients with that process. He also has significant experience in preparing and presenting cases in the Court of Appeals of Virginia. Other attorneys, professional athletes, politicians, corporate executives, military members, stay-at-home parents, and virtually every other type of person can be found among Mr. Masterman’s clientele. 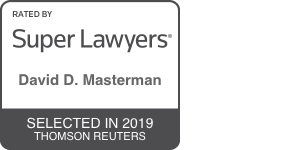 Mr. Masterman carries the “AV” rating from Martindale-Hubbell, the highest rating for skill and ethics, and is listed in its volume on pre-eminent attorneys in the United States. He has been recognized and listed in The Best Lawyers in America, and he has been ranked as one of the top family lawyers by the Washingtonian and Washington Post magazines. He is listed in the Ten Leaders for Domestic Relations Attorneys for Northern Virginia. He is also a Fellow of the American Academy of Matrimonial Lawyers. Mr. Masterman practices in all aspects of family law, except adoption matters. He most commonly appears in the circuit courts of Fairfax County, Loudoun County, the City of Alexandria, and Arlington County, but also regularly represents parties in Prince William and Fauquier Counties. Case that helped establish and clarify the differences in proof needed to modify spousal support when it is set for a defined duration and for an undefined duration. Case exploring the interaction between court-ordered child support paid while a child is a minor and contractual child support paid after a child turns 18 but the parties agreed support would continue. 17th Ann Family Law – How Do I Handle the Hard Issues? 23rd Ann Family Law – Conflicts of Interest in Domestic Relations Practice: When Are You Conflicted Out of the Case?